Gregory Maguire is the author of “Wicked: The Life and Times of the Wicked Witch of the West” (2007) , the basis for the Tony Award-winning Broadway and international hit musical of the same name. He is also the author of the best-sellers “After Alice” (2016), a novel based on Lewis Carroll’s 150-year-old classic, “Alice’s Adventures in Wonderland,” as well as “Confessions of an Ugly Stepsister” (2000), “Lost” (2002), “Mirror Mirror” (2004), and the other Wicked Years novels that include “A Lion Among Men” (2010), “Son of a Witch” (2008), and the final novel in the series, “Out of Oz” (2012). A popular keynote speaker, Maguire has lectured at universities, libraries, education/teachers conferences, and arts and culture institutions in the U.S. and abroad. Maguire has been the recipient of several awards and fellowships. 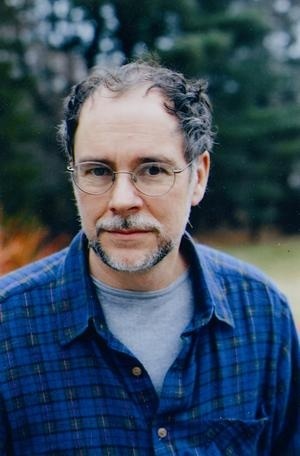 His fellowship residencies include: Blue Mountain Center, New York; the Hambidge Center, Georgia; The Virginia Center for the Creative Arts; and the Bread Loaf Writers Conference, Vermont. In addition to writing, Maguire is a national figure in children’s literature education. From 1979 to 1986, he was a professor and associate director of the Center for the Study of Children’s Literature at Simmons College. Since 1986 he has been co-director and founding board member of Children’s Literature New England, Inc., a nonprofit that focuses attention on the significance of literature in the lives of children. Maguire’s other books include “The Next Queen of Heaven” (2010), a farcical and imaginative novel set on the eve of Y2K, and “Making Mischief: A Maurice Sendak Appreciation” (2009), a visual tribute to the art of legendary Maurice Sendak. Maguire has also written several children’s novels including “The Hamlet Chronicles,” a seven-book series. Though he is best known as a fantasy writer, he has also written picture books, science fiction, and realistic and historical fiction. Maguire received his Ph.D. in English and American Literature from Tufts University. For availability and speaker fees, please contact Gregory Maguire’s speaking agent at Chartwell here, or call +1 972 385 1021 for U.S. inquiries or +44 207 293 0864 for international inquiries.